First of all, you need a medical diagnosis: this website does not provide information on undiagnosed headaches! Adults suffering from migraines are often misdiagnosed or mistreated. This situation is even worse with children. If your child is incapacitated by his migraines (school absenteeism, missing social activities), you should know there are treatments that can help him or her. Your child’s lifestyle should first be modified: sleep, diet, and exercise. Pay a special attention to triggers! Caffeine can also be a problem, as teenagers consume more caffeine than we may think! Keeping a migraine diary can be extremely helpful! 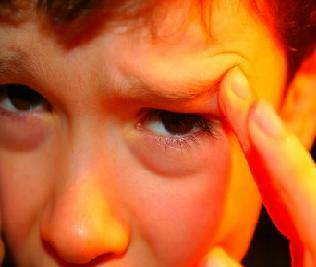 A child with recurring migraines can take acetaminophen (Tylenol) to begin with. Ibuprofen (Advil, Motrin) can also be given to a child as an alternative (dosage should be discussed with a doctor or a pharmacist). In teenagers age 12 and up, some triptans are safe and effective. If your child has migraines several times a month (more than 4 times a month), or if the severity of his/her headaches keeps him from performing the basic activities of daily life (e.g. repeated school absenteeism), preventative treatments (taken every day) can be considered in order to reduce the frequency and intensity of headaches. Discuss this matter with your doctor. Beware! It is NOT recommended to give aspirin to any child under the age of 18, because of the low risk of Reye’s syndrome, a rare but often fatal complication.